The deputy drove up in his patrol car and asked the female associated with the vehicle, identified as Tami Lorraine Madison, 40 years from Butte, Montana if this was true. She told the deputy it was a joke. The deputy looked in her vehicle and saw dried marijuana bud in plain sight on the vehicles front passenger seat. The deputy searched Madison’s vehicle and discovered over eight pounds of dried, manicured marijuana bud in Madison’s vehicle. 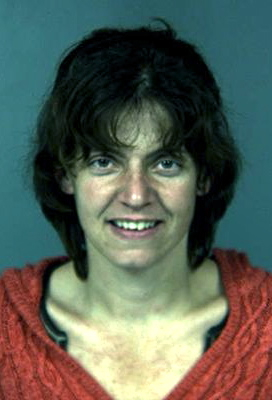 Madison was booked into the Humboldt County Correctional Facility on felony possession of marijuana for sale. Her bail is set at $25,000. This entry was posted on Saturday, December 17th, 2011 at 4:20 pm	and is filed under News. You can follow any responses to this entry through the RSS 2.0 feed.